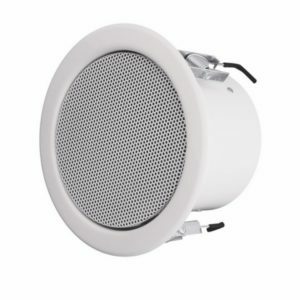 DELF 165/10 PP ceiling speakers are made of high quality powder coated steel. 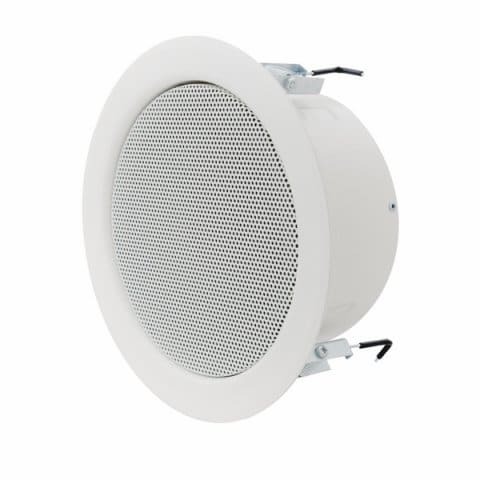 They are equipped with a high quality broadband loudspeaker with a diameter of 165 mm. Thanks to the very simple system handles based on three springs sets are characterized by fast and very durable assembly. Connection module with a 3-contact ceramic cube with thermal fuse. 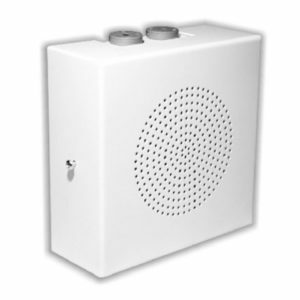 Includes fire protection cover with steel sling.